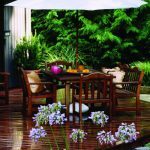 After our top 3 best-selling tropical hardwood decking species, you still have plenty of lesser-known options that are nearly as fabulous! They’re just not as popular as our front runners. 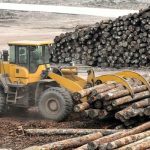 Many boast some of the same prize-winning characteristics, and here at J. Gibson McIlvain, we’re glad to recommend them to you as alternative hardwood decking possibilities. 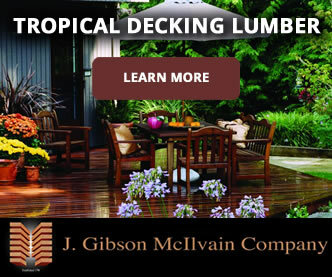 Like other tropical hardwood decking species we sell, they will hold up to exterior wear and tear for dozens of years. 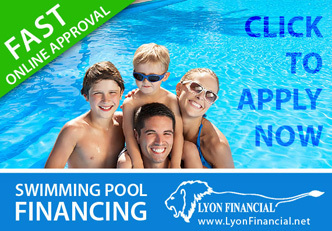 Each is suited to different needs and preferences, allowing you to explore and display your own personal sense of style. 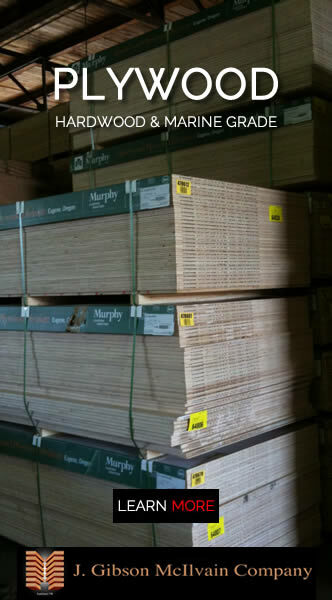 One species that’s increasing in popularity is Jatoba. 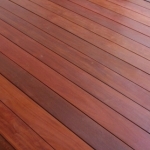 Referred to as “Brazilian Cherry,” Jatoba allows you to blend indoor and outdoor spaces easily. Especially for those with outdoor kitchens, it can be a definite win. 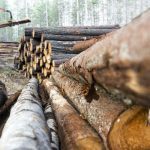 The hardness of Jatoba is nearly identical to that of Ipe, and its high degree of rot and insect resistance as well as exceptional stability make it an excellent choice. 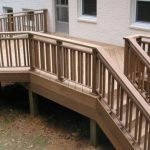 Combine those characteristics with its rich, reddish brown hue that will deepen over time, and you have a great decking choice that’s set apart from any other option. Sometimes called “Goncalo Alves,” freshly-milled Tigerwood has a naturally orange-ish brown background color with darker striping, making it appear similar to a tiger’s striping. 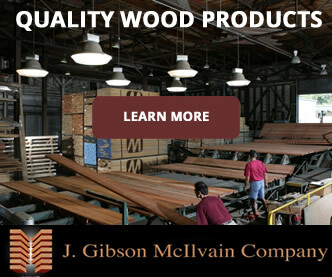 Over time, like all lumber, its coloring will mellow; in the case of Tigerwood, it will become a deep reddish brown. 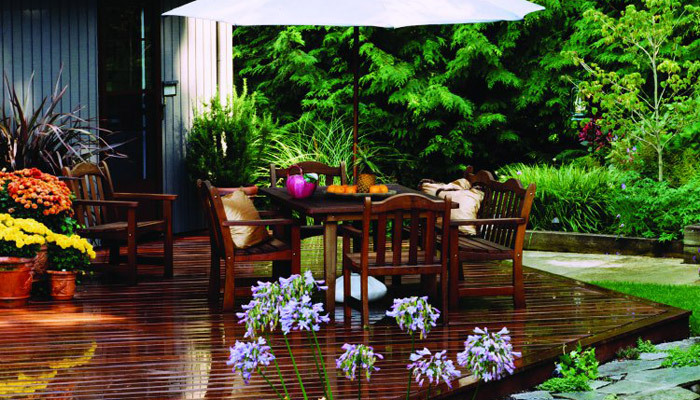 While Tigerwood boasts great stability in the majority of climates, it does require kiln drying. 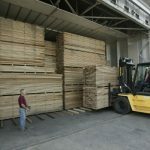 Readily available and appropriate for both interior and exterior applications, Tigerwood is readily available and growing in popularity as a decking species. One down side is that its striped appearance can make consistency difficult to achieve; another is that its extremely smooth texture can be slippery when wet. Whether you prefer the moniker “Brazilian Redwood” or “Bullet Wood,” Massaranduba has a deep red hue that will eventually mellow into more of a brown. With exceptional density and hardness, the large Massaranduba tree yields plenty of straight boards that have consistent grain. Also highly durable, with hardness approximately 80% that of Ipe, Massaranduba does pose potential issues in dryer climates. However, it is highly popular in Europe with its wetter climate. As long as you’re in an area with relatively high moisture levels, Massaranduba may be the ideal solution for you. The price point is similar to that of Cumaru. 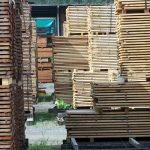 While most tropical hardwood decking lumber species have a more reddish hue, Garapa surprises with its lemon-yellow color! 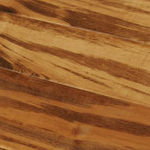 Like other tropical hardwoods, though, its hardness and density are on par with the others. Sometimes called “Brazilian Oak,” Garapa is approximately 60% as hard as Ipe. 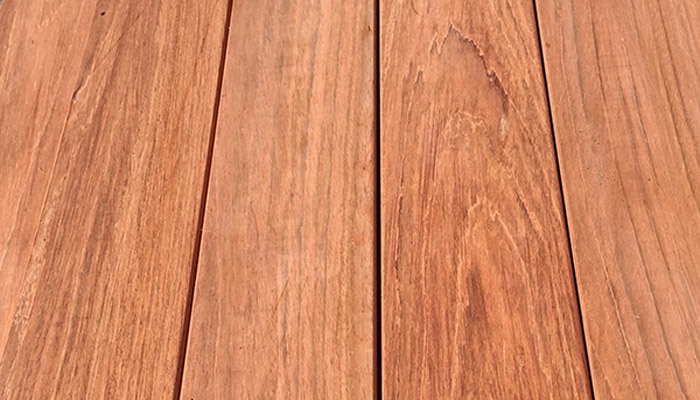 Some customers prefer to stain Garapa to alter its coloring, allowing it to look more similar to other tropical decking species.